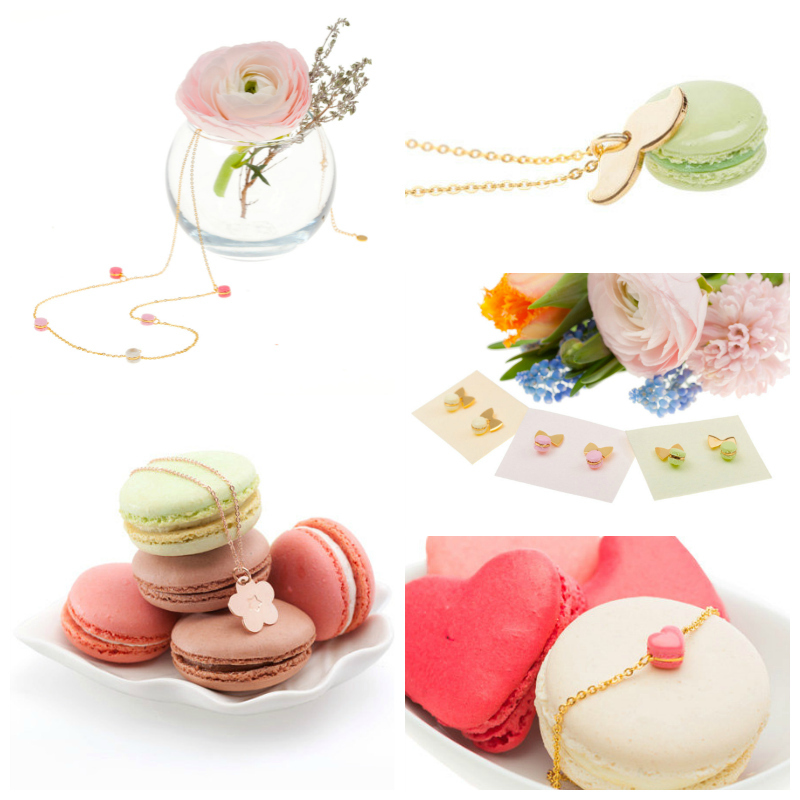 Maqaroon offers a minimalistic and affordable collection of gold-plated jewelry inspired by kawaii culture, with a luxurious take on the Asian "sweets deco" style, which is both cute and playful yet elegant enough for everyday wear. Well, some people like jewelry inspired by flowers or animals, so there is quite a spectrum of themes. As for myself I find these pieces "sweet" and to me they aren't too obviously "food" at least nor compared to, say, a pendant reminiscent of a pizza slice (now that would be really weird).